I am a guitar player in Delhi starting out on the sarod, and I came across your site looking for resources on this wonderful instrument. Thank you so much for putting up all this information over here — we really don’t have enough of it online. I’ve just started out on Raag Kafi and my sarod is still being built, so I have a long long way to go, but I have been playing the guitar for a dozen or so years and I just wanted to add to your post here that there are indeed some guitarists who manage to play with longish fretting hand fingernails. I am one them! So for guitarists looking to get into the sarod, don’t be discouraged! It can be done and it actually works out quite well. I actually made the move to grow out my fingernails (about the same size as Rahul, but on all four fingers) a couple of years before I started the sarod, for purely guitar-related reasons. The nails give the fleshy part of your fingers more stability and (imo) can lead to a more efficient technique. Thanks Mark – it’s good to know that you can play the guitar and sarod at the same time. (I simply can’t – I’ve tried and nails get in the way), so it’ll be good for readers to read your opinion as well. I’m relatively old fashioned, so have this thing about nails, not using artificial nails, electric pickups etc, which are all coming into the sarod. There is no golden rule set in stone- whatever works for a particular individual is most welcome. Raag Kaafi is a wonderful raag – Kaafi, Zila Kaafi and other related ragas such as Barwa, Desi, Pilu, Bhimpalasi, Dhani and heavyweights like Miyan Ki Malhar, Shahana, Megh etc all come to mind. I’ll eventually get around to doing some nice compositions in Kaafi. It brings images of Holi in Banaras (my hometown) to my mind. My name is Debtanu Roy, I am a sarod player in kolkata. In internet I could not find raag bhimpalasi. So would you please provide me the link of raag bhimpalasi mp3. I’m a westerner who’s been playing and studying classical and jazz guitar for over a decade now and I’ve been attracted to the classical music of Indian for a year or two. 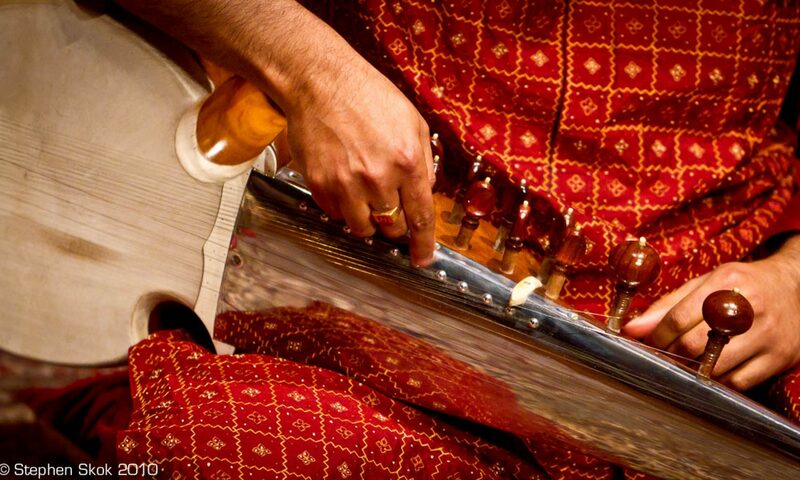 It’s a very rigorous and interesting form of music to me and I find the concepts of ragas to be absolutely enticing. I love the musicians approach to improvisation as well. Amjad Ali Khan and Ali Akbar Khan is what made me interested in sarod. There’s a lot of resources for sitar and tabla, but the sarod seems to be a bit more shrouded. Such an expressive and deep instrument deserves a revival. I’m a bit worried that my nails on my left hand will halt my guitar studies though. I hate to make such sacrifices. Traditional teachings in classical guitar strongly suggest to achieve a good tone you must file your left hand nails as short as possible. It’s reassuring to see Mark’s comment.